I love combing through archives of the Library of Congress, especially the old photos. I have used many of them in the family history book I'm working on for my children. 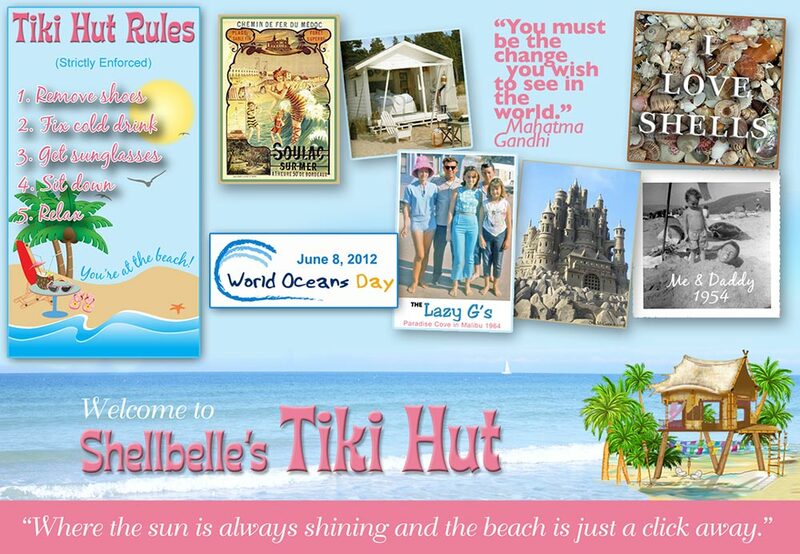 BUT, I have to admit that my favorites are those related to the beach. I've decided that each Monday I would share one from my collection with you and hope you enjoy them as much as I do! 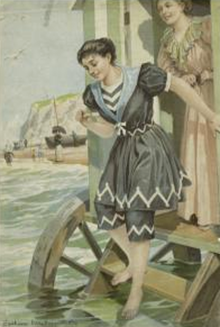 Col. Sherrell, Superintendent of Public Buildings and Grounds, issued an order that bathing suits at the Wash[ington] bathing beach must not be over six inches above the knee. 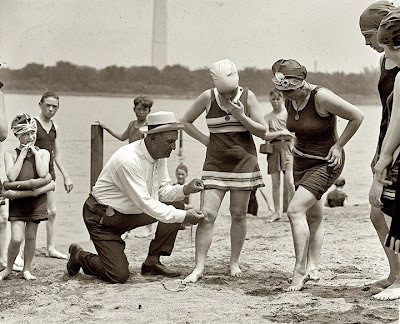 In this 1922 photo we have Bill Norton, the bathing beach policeman, measuring distance between knee and bathing suit on woman, Washington, D.C..
National Photo Company Collection. Library of Congress. 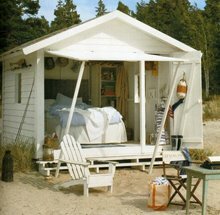 Don't you just love the vintage beach caps? I mean I really do love them and want one like the lady on your right has on! 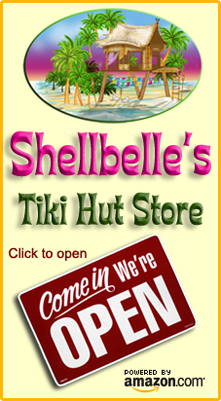 I'm going to goggle vintage beach caps and see whats out there. If I find something cute I'll put a link under Cool Stuff for the Beach to your right. Anyway, I wonder if Col. Sherrell was inspired by this 1898 theatrical poster? 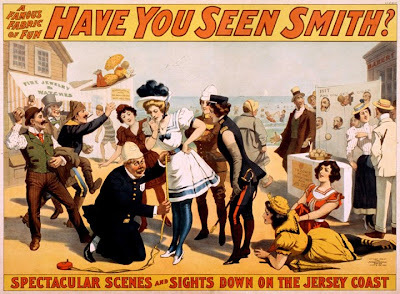 Have You Seen Smith? opened on Broadway at the Star Theatre on October 3, 1898. Printed by the Strobridge Lithography Company, Cincinnati & New York. Collection of the Library of Congress. Except for the beach caps, I am very glad that beach attire has changed. I have to admit though that I no longer wear bikinis and the folks around me at the beach are very happy about that! Come back next Monday for more vintage beach photos, I think this is going to be fun! I have to admit..., never really considered the caps, just was always more fascinated with the swimsuits when I see these vintage photos. But They are neat..., only I hated wearing them as a kid -we had to in the indoor swimming pools! I know, I hated wearing them as a kid also, but since I stopped perming my hair a number of years ago I end up with straight, thin, awful hair when I go swimming at the beach. To be able to go anywhere afterward I have to throw on some kind of hat. 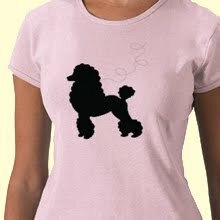 I did do some searching and found some cute stuff at Lady Diva's and Headcovers. Headcovers is actually for women who have lost their hair to cancer, but the products are also perfect for people like me with thin, fine, straight hair. Love the vintage black & white photo. Thanks for visiting and people must think I'm crazy or else a tourist because I always have my camera hanging around my neck even in department stores! I know exactly what you mean Vicki, I get up in the morning and head to the beach and always have my camera. I plop down in the water or lay in the sand to get the shot I want. I know everyone must think…there goes another crazy tourist! Yes Jane, I like suits that cover up my cellulite. Of course, I'd need a body suit! I am so glad we connected! Now I have an ubercool beach spot to kick back and enjoy myself! I added you to my Blog roll so I can keep up with your posts. When you get your new camera fill me in. I need (want) to upgrade and appreciate any feedback. I will definitely lay down some bucks for a tripod. At home I use a chair stacked with books, but that doesn’t fair well on the road. I always scout around looking for interesting photos so thanks for this source and link to the Library of Congress. 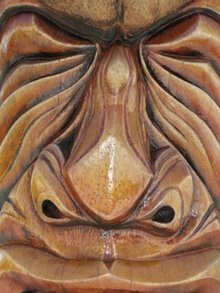 Have a good one to you and the tiki carver. If he doesn’t have his own blog, he needs to start one. His work is truly incredible! Great photos. Darn, I used to hate wearing a bathing cap as a kid. Mine had a big rubber flower on the side. I wonder how Col Sherrell would have liked to have a few things measured in public. Bet he would have come up short. Those are fun photos! I'm thinking that the clothes were wool, too. My husband's aunt collects old bathing suits. I have a funny one from the 1950's-1960's that I got at a thrift sale, and I've thought about having it framed. Cathy, I will definitely keep you "camera" updated. Thanks for the comment on my son's tikis, he does me proud. His photography work keeps him incredibly busy or I would get him in the blog world. Sue, you are so funny! Cathy, I've heard that the suits were made of wool, so they wouldn't cling to a woman's figure. What would they think of the suits now? Can't imagine. 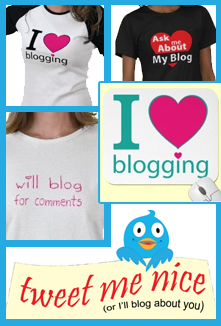 I adore your blog and I am following now! Thank you for visiting and following mine. I do love the water. It doesn't have to be the ocean. Any lake, river, creek, pond, pool or puddle will do. I grew up spending my summers as wet as possible! It calms me. I love the caps too! I love vintage beach photos. What a great idea to post them! Thank you. I look forward to next Monday.